2017 is not a good year for Internet users in China. This year we saw local VPN providers being forced to shut down, Apple removing VPN apps from its China App Store, WhatsApp getting blocked, many free VPNs stopped working, and more recently, Skype, Microsoft’s famous messaging/VoIP app, seemed to be banned in China. 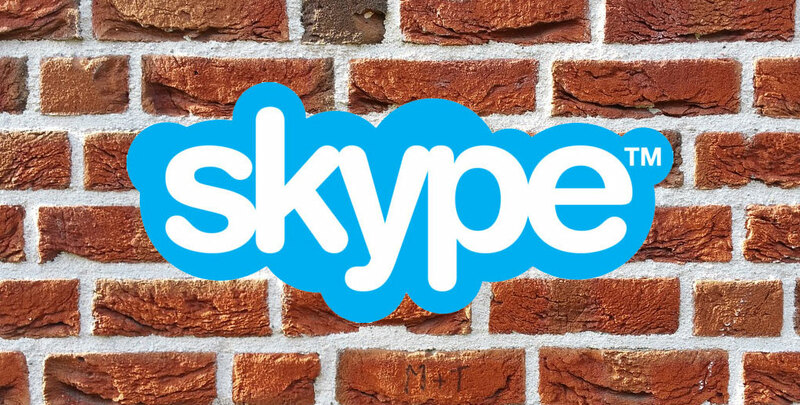 As has been widely reported, Skype is disappearing from Apple’s China App Store and no longer available in many China’s Android app stores. Although users can still find Skype in Google’s Play Store, since Play Store has been blocked in China for a long time, it doesn’t help at all. All signs are pointing to the same direction: China is getting tougher on apps that allow people communicate freely without the government’s control. For the vast majority of mobile phone users in China, WeChat is the most popular app for communication. This app is from a local Chinese company Tencent and known for monitoring and censoring Chinese users’s communications. But there are some people in China, such as expats, prefer to use alternative apps such as Whatsapp and Skype, which are from foreign companies such as Facebook and Microsoft and are not under the control of the Chinese government. We saw Whatsapp getting blocked/disrupted a couple of months ago and now it’s the turn for Skype. If you are a Skype user in China, there’re still some ways to deal with this problem. For iOS users, although Skype has been removed from Apple’s China app store, it’s still accessible from App Store in other countries. Many people in China use tricks such as switching to an Apple account in anther country to download banned apps such as VPNs and Skype and then switch back to their China account to continue using those apps. For Android users, they could possibly download the APK file (installation file for Android apps) directly from the app’s official website and the install the apps without using any Android app store.